Hi! 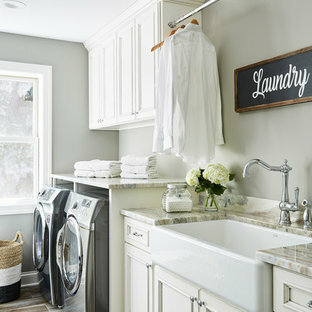 Today at 101 Days, we are going to look at some amazing organized laundry room inspiration from Houzz. 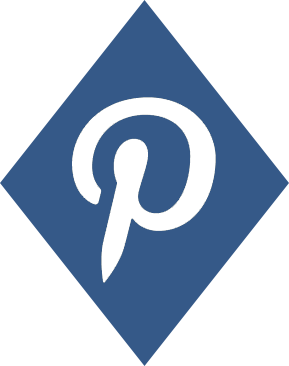 Did you know that Houzz has all the home design, décor and remodeling ideas you will ever need? 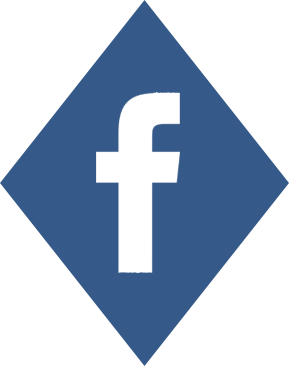 Spend some time over there whenever you need ideas for all things home. 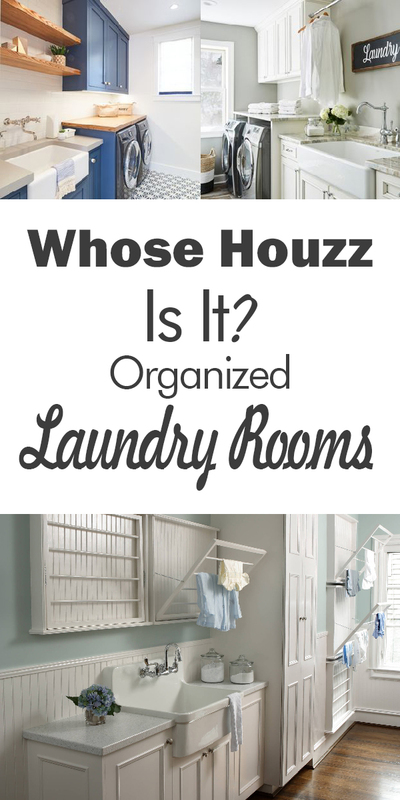 For now, stick around and see my favorite organized laundry room ideas. You’re sure to feel inspired! One of the best organized laundry room ideas is a built-in cabinet for the washer and dryer set. On each side of the appliance set are cubbies to store your favorite laundry supplies. My favorite thing about this organized laundry room idea is the counter space. It’s the perfect spot for folding all the clean laundry. I also love the open shelving painted to match the cabinet. I have to mention that the colors used in this room are so soothing! This organized laundry room has two awesome things going for it. Number one is the farmhouse sink! A beautiful and functional sink does a lot for more organized stain removal. It’s also just really convenient! 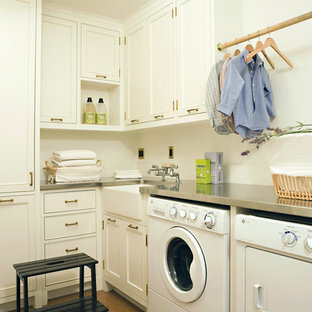 The closed cabinets above the washer and dryer are great for those of us who like to keep our laundry supplies hidden. 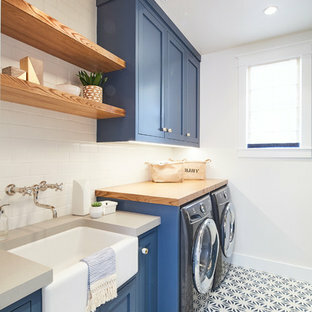 Here’s an upstairs laundry room that is well-organized and functional. The organization level soars thanks to a farmhouse sink, cabinets, and a counter for folding. What sets this room apart from the others is the addition of a bar over the sink. Just hang those clothing items you don’t want to put in the dryer. They can safely drip-dry over the sink. 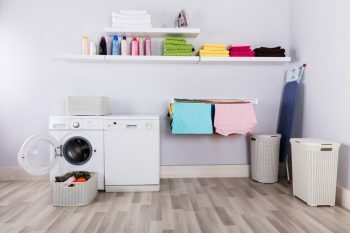 Do you use drying racks for sweaters and other clothing items? This organized laundry room idea shows you how to include built-in drying racks in your laundry room. 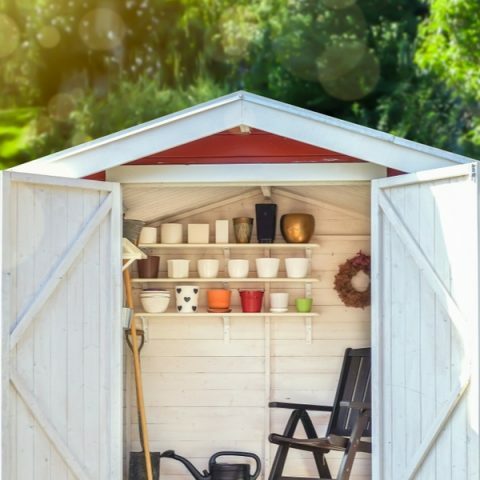 Houzz has the best ideas! How about the fold out drying racks in this gorgeous laundry room? There is plenty of organized space to dry anything you don’t want to risk shrinking in the dryer! 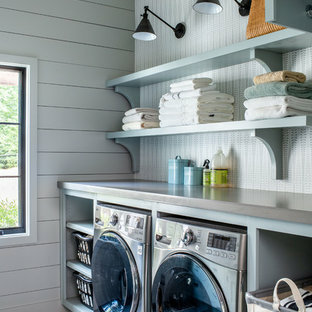 Now that you’ve seen my favorite organized laundry room ideas from Houzz, click on over and see what your favorites are. There’s nothing to lose!